for $10.3 million on a yield of 7.5 per cent, within the Australia Trade Coast precinct. The purchase is Clarence Property's first investment in the industrial sector. The modern industrial facility was built in 2007 and comprises of five units over 6,185 square metres of gross floor area. 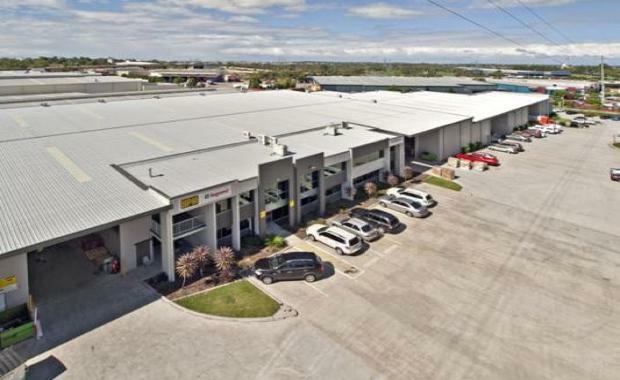 Colliers International Director of Industrial John Slater negotiated the off-market transaction on behalf of the vendor OzProp Capital Pty Ltd who is based in Broadbeach. “Clarence Property have been looking at getting into the industrial market, and approached us with a buyer mandate to add to their Westlawn Property Trust which currently has over $200 million in assets," he said. Mr Slater noted that there is a lot of money in the market currently to buy, but a real shortage of appropriate assets to reinvest into. “We approached OzProp Capital Pty Ltd with the opportunity, and in the end negotiated the price that they were happy with," he said. “This A Grade asset ticked all the boxes in terms of value, location and the fact it was multi tenanted, which spread the risk of lease expiries. "The WALE is approximately 2.5 years, with blue chip tenants such as Australia Post and TAB ensuring a solid rental income stream. “The building has a very unique aspect, consisting of a corporate façade and high quality offices at the front, with warehouse and roller door access positioned at the back. “The property is strategically located within a five kilometre radius of both the International and Domestic airports as well as the Port of Brisbane, Gateway Motorway and Murarrie station. The Brisbane CBD is 10km away,” Mr Slater said. Clarence Property is a diversified funds manager with a portfolio of over $500 million in assets, spread across 10 funds. Their projects represent a mix of commercial and residential projects, from shopping centres to office buildings and continue to seek further opportunities.